Active since 2006, Batu Tara continues to puff away. 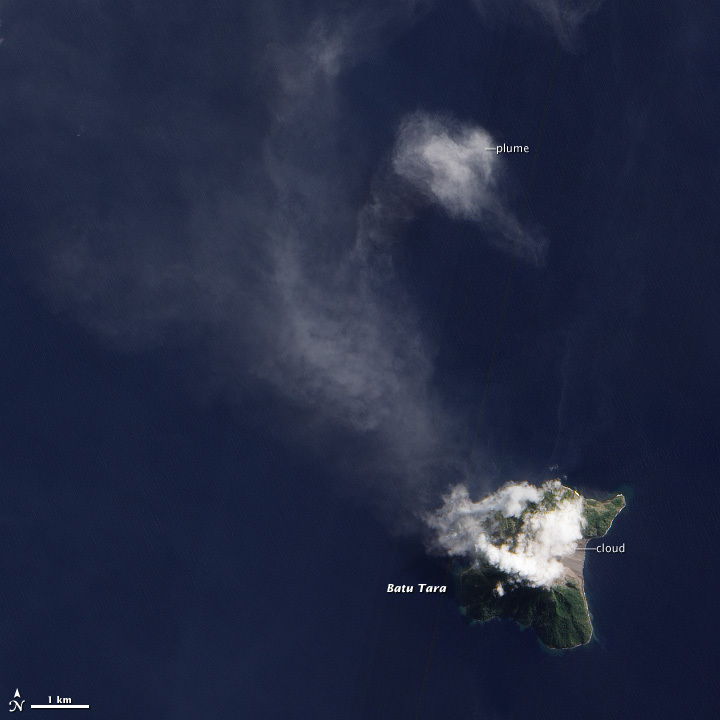 A thin volcanic plume streams northwest from the cloud-shrouded volcano. The Advanced Land Imager (ALI) aboard the Earth Observing-1 (EO-1) satellite collected this natural-color image on June 21, 2012. 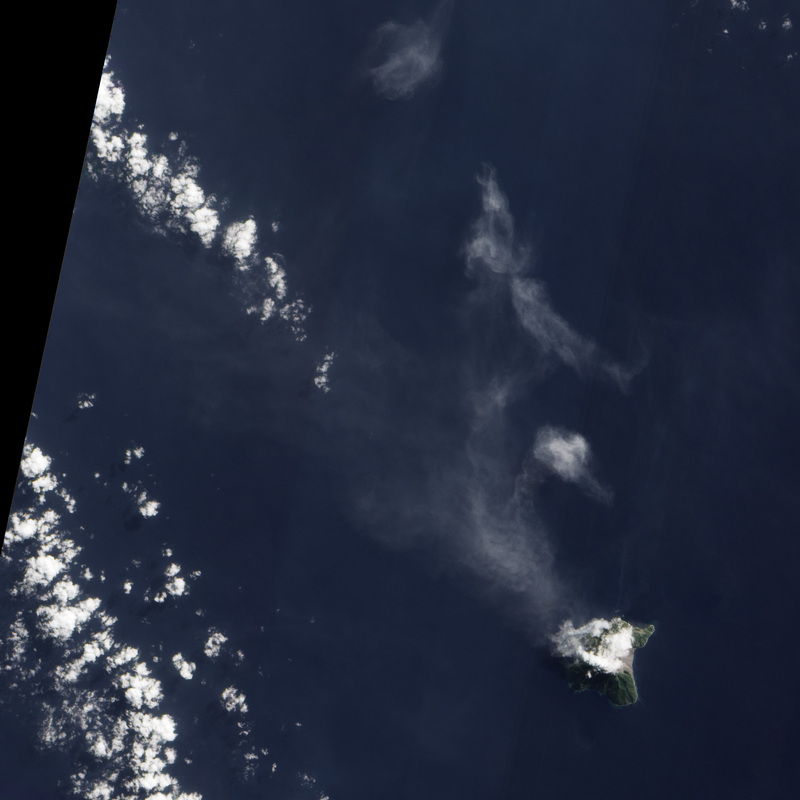 NASA image By Jesse Allen and Robert Simmon using EO-1 ALI data.